Capsule welcomes Harriet Coleman to the team. Having spent several years as a violinist, keyboard player, singer and arranger in indie pop band, Los Campesinos!, Harriet graduated in English Literature at Cardiff University in 2012. In the same year, she completed a production internship at Supersonic Festival. Since then, she has worked for Literature Wales, Hay Festival, Globe at Hay and Cardiff’s From Now On Festival. 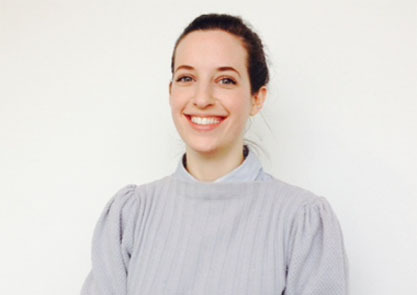 Joining Capsule as Programme Assistant, Harriet will support us in the delivery of the 2015 programme. She will focus on marketing and promotion, as well as providing administrative support to the team and taking on the role of artist liaison at Supersonic Festival. Harriet divides her time between Birmingham and the borders of Mid-Wales, where she helps her partner with his residential recording studio and plays music, chiefly in a band called Them Squirrels. She is also proud co owner of black and tan terrier, Bobby. There’s definitely a bit of sausage dog in his genes too, so he very much approves of her role at Capsule.